This part of fishing has bugged me for oh so many years. I don’t understand, why it’s not possible to be happy with our fellow angler’s when they catch a fish? At the end of the day, we are all on the bank to achieve one thing and that’s to get the fish on the bank. Also, a PB every so often would be nice. So why do people get jealous of each other’s achievements? We should all be on the same side and learn from each other every time someone lands a fish, regardless of its type. Something can always be learnt from this and used by yourself for future reference. 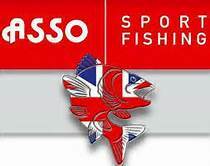 Why do anglers feel the need to lie and backstab each other to get their fellow angler removed from a club? Just because they have caught a load of fish is a complete mystery to me. In most cases, the person would move on in time to another venue. So why not learn from these people? You can help yourself to the information they can prove before they move on. You could be the person catching all the fish. People just push them away and carry on wondering why they can’t catch until the next person comes along and does the same as the previous angler. They will repeat the same thing over again. Observation and information is a very important part of any type of fishing and should be regarded as priceless, the more knowledge we get, the better we get at our chosen sport/hobby. So, next time you see another angler catch a fish, go and say well done and he/she may just pass on some virtual information which could well help you catch your next PB.